Two months before my 20th birthday, I made a decision. I was going to get married before my 30th birthday. Although ten years is plenty of time to make it happen, I had the feeling that I didn't have any time to spare. My prospects were bleak, and if past performance is a good indicator of the future, they would remain bleak for a while. Not wanting to make my mission any harder than it already seemed, I decided I would not press my luck. Thinking about all of my friends, I realized that if they got married before me I'd probably be a bridesmaid more times than I could stomach. Everyone says, "Always a bridesmaid, never a bride," and I didn't want that to apply to me. Yet, I still wanted to be a part of my friends' wedding days (whenever they would be). 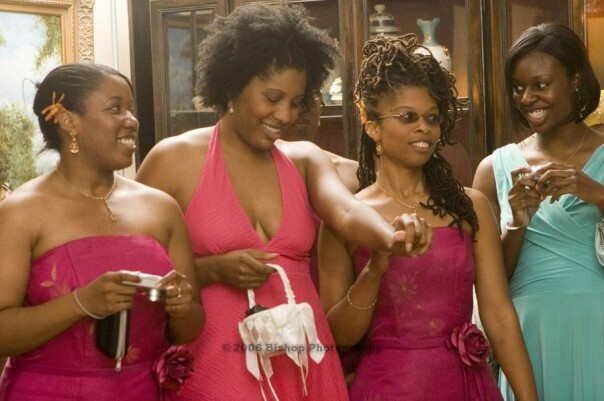 Then it hit me, I could still play a major part in any friends' nuptials. They may say, "always a bridesmaid, never a bride," but they don't say anything about being a flower girl. At first it seemed like a radical idea. Who ever heard of an adult flower girl? Especially an adult flower girl who's taller than many grooms. But one day while discussing weekend plans with a classmate, I learned that adult flower girls were not a mythical species. "Yeah, so I'm going to my cousin's wedding this weekend," she said. "Oh, that's cool. Are you in the wedding?" I replied. "Nope, but my twin is gonna be the flower girl." And with that sentence hope was born. I presented the idea to all my close friends, who immediately laughed in my face. "Umm, isn't the flower girl supposed to be a little girl? Don't you think you're too old? Yeah, you're too tall to be a flower girl." I had expected some resistance to my plan, but the outright opposition surprised me. I'm absolutely adorable! How could anyone not want me as their flower girl. Obviously, they would need more in order to see the vision. A campaign was born, complete with flower throwing demonstration and visualization exercises. "Aren't flower girls supposed to be little girls?" "Little girls have temper tantrums and can ruin the wedding." Whatever the objection, I had an answer. I even considered having head shots made so people could get a better idea of just how cute I can be. Even with my full fledged "Liz For Flower Girl" campaign, my friends still refused to support. Refusing to be thwarted, I offered my services elsewhere. Whenever anyone mentioned an engagement the first thing I said was, "I'm available if you need a flower girl." It didn't matter if it was an acquaintance, coworker, perfect stranger, I put it out there. I figured, I wouldn't know for sure unless I asked. I got five consecutive years of "No!" In December 2005 when my good friend and sorority sister announced her engagement, I went through the routine. "Can I be your flower girl?" "But a little girl can ruin the wedding." "I don't even think I'm gonna have a flower girl. I don't want kids in the wedding." I didn't realize it then, but that would be the silver lining in the dark cloud of rejection. Normally when I put in my application to be a flower girl, I'm competing with several four year olds with cherubic cheeks and wide eyes. This time I had no competition, I only had to overcome her hesitations. Several months later in a bridal shop in Brooklyn, I got the assistance I needed. While my friend was in the fitting room trying on a gown, I flipped through a magazine. "If only they made these flower girl dresses in my size. I would be so adorable." "Liz, you're too big to be a flower girl!" she admonished as she stepped out of the fitting room. "Actually, I've heard of older women being the flower girl," the shop owner chimed in. "Yeah," she continued, "Of course they don't wear white like a little girl would, but I've definitely heard of it. They're called flower maids or something like that." I shot my friend a hopeful glance and I could tell she was mulling over the idea. The seed was planted. Two months later I got a phone call. "So, I wanted to ask if you'd like to be in my wedding. I don't really know the exact capacity. But would you like to be the flower maiden or something like that?" "I'd love to!" I was beaming. After years of trying, I would finally get my chance. We decided I would wear a pink A-line halter dress with ballet flats. I'd also have a basket with flowers to throw down the aisle. There would be no little girls, just me. I was estatic! On June 10th, 2006 I woke early to prepare for my big day. I washed and detangled the fro, shaved my legs and got a pedicure. The next few hours I practiced looking as innocent as possible. I kept the makeup and jewelry to a minimum in order to help the effort. Then at 6 p.m. I lined up outside the Grammercy mansion in Baltimore, MD. The processional music started and the wedding planner cued the bridesmaids. One by one they walked down the aisle towards the awaiting pastor. "Now go!" the wedding planner pointed at me. Clutching my white basket filled with pink and orange rose petals, I walked to the threshold. I took a step, then threw a handful of flowers in front of me. The guests stared, initially confused. The giggles started when they finally comprehended what I was doing. I looked to my left and saw my sorority sisters shaking their heads at me in disbelief. Step by step I made my way down the aisle, leaving a trail of rose petals in my wake. My basket was empty just as I reached my destination. I had done it! I had proven all of my detractors wrong. Grown women who are nearly six feet tall make exceptional flower girls! I think it sounds like a beautiful idea. Go you! Whats the rule on ring bearers? And a brilliant concept. A new wrinkle to the already bloated and expansively expensive wedding industry. You should run with it. What a great idea! I'm going to suggest it to my friends from now on. After 10 times being a bridesmaid I'm retired...and don't have too many single friends left! I loved this post and the idea of having an adult flower girl. Fantastic! You had an idea and you went with it. Cool! AND you look nice as a flower girl – so why not. GO GO GO! You are beautiful in the photos! Children can really mess up an expensive and important affair. If the couple has a 'no kid' reception then an adult flower girl is the perfect answer. I don't are for everyone's children. And brave, too. I've been asked to be a bridesmaid before, but I always end up shaking in my boots and saying now. It never occurred to me to go for the flower girl position instead! If I ever get married I will not be having attractive people involved in the wedding like your friends...oh no...I have to look the best!!!! I'll give you mad points for your tenacity on that one. I can imagine the looks on people's faces at a six foot flower girl. Good job. You were the best flower maiden that a girl could have and you looked gorgeous! !